The above info came from ShojoGirl12, and was edited by yours truly (contact me). The image came from Minky Momo Multimedia. 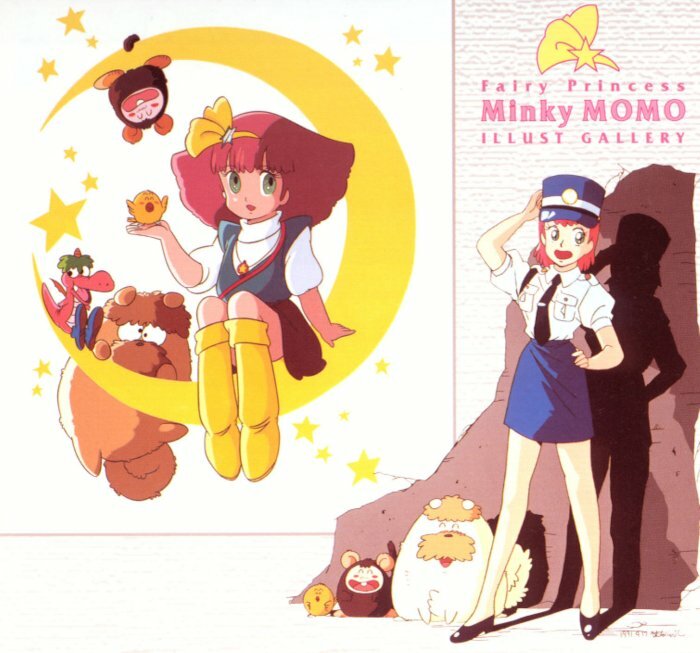 Minky Momo is a very famous magical-girl anime. Minky Momo comes from Fenarinasa, the land of dreams in the sky, down to Earth to helps spread goodness through people's dreams. She has a magic candy cane that, when she uses it, she become an adult. But then she gets hit by a truck, and is reborn into a human girl to the childless parents she lived with in the first place. There is another Minky Momo from Marinasa in the second series. It's a very cute little anime. The above description came from ShojoGirl12, and was edited by yours truly (contact me).